Point loads are concentrated loads applied along the span of a member or the edge of a wall panel. Defining point loads may be accomplished graphically or in the spreadsheets. 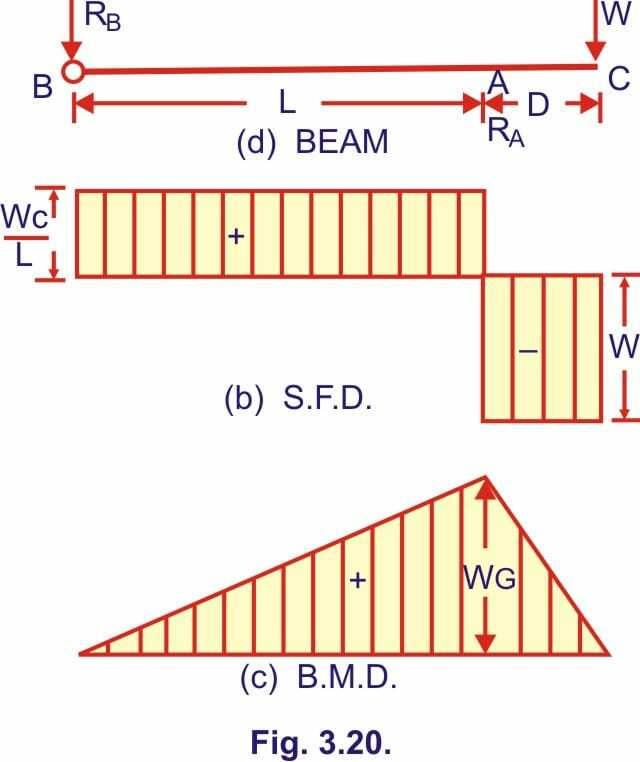 In this example, one get clear idea how to calculate reactions when a simply supported beam is having point load overhang on one side of the support. The S.F.D. is shown in Fig. 3.20 (b). Mx=Wx, which gives MC=0 ; MA=Wa. which gives MA=Wa and MB=0. The B.M.D. diagram is shown in Fig. 3.20 (c).